Catholic Family Mission: Transform Your World - Share, Give & Volunteer! There are so many ways for you to get involved in this exciting Catholic family mission! For example, you can take a few seconds to share a post on Facebook! Secondly, support us with a financial gift. You could even spend a summer as a missionary, or even dedicate your whole life to God as a Catholic Corps Member. Find a way that works for you. Here are some ways to get started today! It's easy to stay connected with us through our newsletter or on social media. Get updates, share a post or leave a review. Let others know how this Catholic family mission has impacted you! Find gifts to inspire your family members and friends to grow in the Faith. 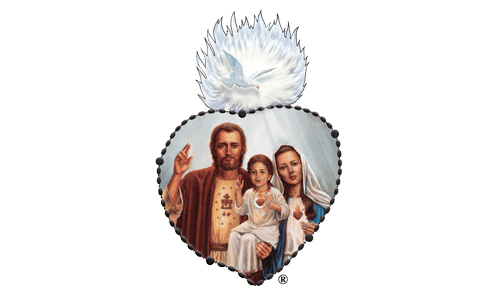 Remember a loved one with a beautiful engraved memorial placed in the Holy Family of Fatima Prayer Site. Young People: Change the World! You can dedicate a summer—or an entire year—in this Catholic family mission. Serve God and families with the AFC as an Alumni Corps or Service Corps missionary! If you are a married person seeking a structured path to holiness, you might want to explore Disciple Membership. Is God calling you to the Catholic Corps vocation? Come work in this Catholic family mission and discern your vocation.